Aspirin has been the cornerstone of therapy for the secondary prevention treatment of patients with cardiovascular disease since landmark trials were completed in the late 1970s and early 1980s that demonstrated the efficacy of aspirin for reducing the risk of ischemic events. Notwithstanding the consistent benefits demonstrated with aspirin for both acute and chronic cardiovascular disease, there are a number of toxicities associated with aspirin that have been showcased by recent long-term clinical trials that have included an aspirin monotherapy arm. As an inhibitor of cyclooxygenase (COX), aspirin impairs gastric mucosal protective mechanisms. Previous trials have shown that up to 15–20 % of patients developed gastrointestinal symptoms with aspirin monotherapy, and approximately 1 % of patients per year had a clinically significant bleeding event, including 1 in 1000 patients who suffered an intracranial or fatal bleed. These risks have been shown to be compounded for patients with acute coronary syndromes (ACS) and those undergoing percutaneous coronary intervention (PCI) who are also treated with other antithrombotic agents during the acute care/procedural period, as well as for an extended time period afterwards. Given observations of substantial increases in bleeding rates from many prior long-term clinical trials that have evaluated aspirin together with other oral platelet inhibitors or oral anticoagulants, the focus of contemporary research has pivoted towards tailored antithrombotic regimens that attempt to either shorten the duration of exposure to aspirin or replace aspirin with an alternative antithrombotic agent. While these shifts are occurring, the safety profile of aspirin when used for the secondary prevention treatment of patients with established cardiovascular disease deserves further consideration. No sources of funding were used to assist in the preparation of this study. Alexander Fanaroff has no conflicts of interest that are directly related to the content of this manuscript. Matthew Roe reports receiving research funding from Eli Lilly, Sanofi–Aventis, Daiichi Sanko, Janssen Pharmaceuticals, Ferring Pharmaceuticals, American College of Cardiology, American Heart Association, and the Familial Hypercholesterolemia Foundation; and reports receiving consulting fees or honoraria from PriMed, Astra Zeneca, Boehringer–Ingelheim, Merck, Amgen, Myokardia, Eli Lilly, and Elsevier Publishers. U.S. Preventive Service Task Force. Draft recommendation statement: aspirin to prevent cardiovascular disease and cancer. September 2015. 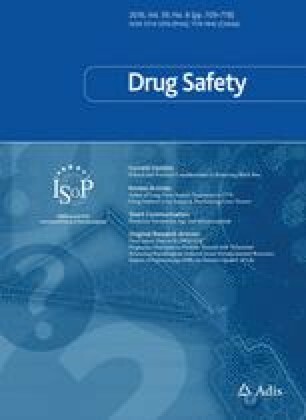 Available at: http://www.uspreventiveservicestaskforce.org/Page/Document/draft-recommendation-statement/aspirin-to-prevent-cardiovascular-disease-and-cancer. Accessed 3 Sept 2016. Bayer. Rivaroxaban for the Prevention of Major Cardiovascular Events in Coronary or Peripheral Artery Disease (COMPASS). [Clinicaltrials.gov identifier NCT01776424]. US National Institutes of Health, ClinicalTrials.gov. Available at: https://clinicaltrials.gov/show/NCT01776424. Accessed 10 Mar 2016. Janssen Research & Development LLC. A study to compare the safety of rivaroxaban versus acetylsalicylic acid in addition to either clopidogrel or ticagrelor therapy in participants with acute coronary syndrome (GEMINI ACS 1). [ClinicalTrials.gov identifier NCT02293395]. US National Institutes of Health, Clinicaltrials.gov. Available at: https://clinicaltrials.gov/show/NCT02293395. Accessed 10 Mar 2016. Boehringer Ingelheim. Evaluation of dual therapy with dabigatran vs. triple therapy with warfarin in patients with AF that undergo a PCI with stenting (REDUAL-PCI). [ClinicalTrials.gov identifier NCT02164864]. US National Institutes of Health, ClinicalTrials.gov. Available at: https://clinicaltrials.gov/show/NCT02164864. Accessed 10 Mar 2016. Bristol-Myers Squibb. Study apixaban to vitamin K antagonist for the prevention of stroke or systemic embolism and bleeding in patients with non-valvular atrial fibrillation and acute coronary syndrome/percutaneous coronary intervention [ClinicalTrials.gov identifier NCT02415400. US National Institutes of Health, Clinicaltrials.gov. Available at: https://clinicaltrials.gov/show/NCT02415400. Accessed 10 Mar 2016.